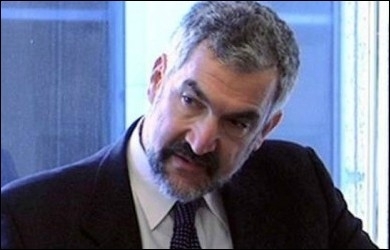 Daniel Pipes is today one of the most alert observers of the Middle East. From the history of Medieval Islam, he has shifted to modern and contemporary Islam upon which he has concentrated a large part of his focus as a scholar and historian, as well as son of another historian, Richard Pipes, the great Harvard specialist of Soviet Russia history. Founder and president of the Middle East Forum, he has written numerous books and countless articles on the subject of Islamism, Islamic history and jihadism. Among them, In the Path of God: Islam and Political power (1983), The Long Shadow: Culture and Politics in the Middle East (1999), and Militant Islam Reaches America (2002). L'Informale: Dr. Pipes, thank you for granting this interview. I would like to start with a question about the connection between Islamic terrorism and Islam. We have been told repeatedly that the roots of Islamic terrorism are not to be found in the religion but in unemployment, frustration, nationalism, and (that favored explanation) in reaction to Western foreign policy, specifically the U.S. foreign policy. Please comment on this. Daniel Pipes: The first explanation – about unemployment – is a silly, discredited idea that reflects a Marxist influence which insists that economic interests drive everything; as they say, "You are what you eat." I disagree. Yes, material concerns have great importance but ideas drive humans more. In other words, "You are what you think." To take a single example, it is impossible to argue that Mohamed Lahouaiej-Bouhlel killed 86 holiday-goers on the beach of Cannes, France, for economic reasons. The second – about Western policy – is a convenient excuse. Yes, the West has a history of intruding around the world. But why is this violent response disproportionately among Muslims? Perhaps it has something to do with being Muslim? "Islam is – no surprise – the key to political violence carried out in the name of Islam by Muslims." Indeed, Islam is – no surprise – the key to political violence carried out in the name of Islam by Muslims. That's almost true by definition. L'Informale: According to Samuel P. Huntington, Islam and the West are inevitably in conflict due to a deep and irreducible clash of values. Do you subscribe to this vision? Daniel Pipes: Huntington was a brilliant scholar who in this case took an interesting idea too far. Yes, civilizational differences exist and have great importance. No, political conflicts and wars have less to do with these differences than with ideology and personal ambition. Tracing civilizational relations makes for a great seminar topic but should not be taken seriously by voters or policymakers. L'Informale: What are, according to you, the main causes of the increased conflict between Islam and the West that has occurred specifically in the late twentieth century? 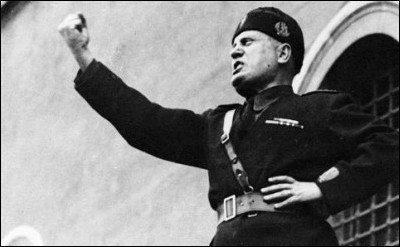 Benito Mussolini of Italy (r. 1922-43) had a major role in the evolution of Islamism. Daniel Pipes: Muslims tried emulating the liberal West (Great Britain and France primarily) in the era 1800-1920 to seek the sources of power and wealth without success; then they emulated the illiberal West (Italy, Russia, and Germany) between 1920 and 1980, and that also failed. In the past forty years, they have turned back to their own history. This too is failing. I often wonder what comes next; perhaps a return to liberalism, this time with better results? Or to illiberalism? L'Informale: Between 1980 and 1995 - in other words, well before the Iraq invasion of 2003 - the United States had engaged in seventeen military operations in the Middle East, all of them directed towards Muslims; however, from President Clinton to President Obama, we have always heard that the West does not have a problem with Islam but only with extremists. Isn't this narrative wearing thin? Daniel Pipes: I disagree with your premise. The U.S. government has intervened many times on behalf of Muslims, such as the Albanians, Bosnians, Iraqis, Kuwaitis, Saudis, Somalis, and Syrians. Further, millions of Muslims have been welcomed to the United States, some even brought over at taxpayer expense. I also disagree with your "wearing thin" comment. It's been U.S. policy since 1992 to oppose not Islamism in general but only violent forms of Islamism. This policy has been largely followed in practice. L'Informale: "For almost a thousand years, from the first Moorish landing in Spain to the second Turkish siege of Vienna, Europe was under constant threat from Islam," writes Bernard Lewis. Is the present Islamic resurgence in continuity with the past or a different phenomenon resulting from different causes? 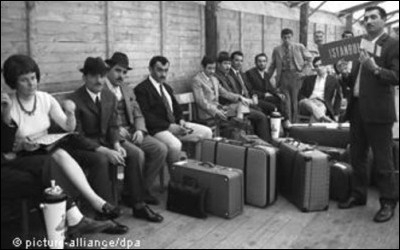 The arrival in Germany of Turkish workers in the 1960s heralded a massive movement of Muslims to Europe. Daniel Pipes: I see mainly continuity. The European-Muslim confrontation is possibly the longest and most vicious in human history, comparable to lions and hyenas. It has gone through many changes, with Muslims controlling substantial parts of Europe at times and Europeans ruling the great majority of Muslims just a century ago. This confrontation took a new turn with the German-Turkish labor agreement of 1961 and the American immigration reform of 1965. L'Informale: According to the German political scientist, Matthias Kuntzel, "The starting point of Islamism is the new interpretation of jihad, exposed with uncompromising militancy by Hassan al Banna, the first to preach it as a holy war in modern times". Do you agree that the Muslim Brotherhood has been the main agency for the resurgence of jihadism in modern Islam? Daniel Pipes: No, I see it as only one of several important Islamist movements. The most important is the Wahhabi (or Salafi) doctrine espoused by the Saudi government with all its vast resources, then the Khomeinist line of the Islamic Republic of Iran, then the Muslim Brotherhood, then the Deobandi school in India. 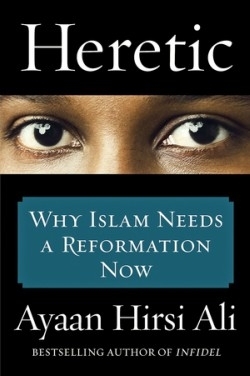 L'Informale: Ayaan Hirsi Ali in her latest book, Heretic: Why Islam Needs a Reformation Now, places Muslims into three categories: The Mecca Muslims, the largest majority who represent the more tolerant side of religion; the Medina Muslims, or the jihadist wing; and the Modifying Muslims, the dissidents and reformists who challenge religious dogma. Do you think this broad scheme is useful? Daniel Pipes: Yes, and it generally corresponds to the triad of responses to modernity that I offered in my 1983 book, In the Path of God, which I called reformists, Islamists, and secularists. L'Informale: In a recent interview I did with Israeli historian Benny Morris, he was very clear in emphasizing that Arab rejectionism has always been from the start the main obstacle to a resolution to the Israeli-Arab conflict. If Morris is right, then every notion of a possible peace is completely delusional. Is this also your point of view? Daniel Pipes: I agree about Arab rejectionism being the cause of the conflict, noting that it has taken four main forms over the past century: Pan-Syrianism, Pan-Arabism, Palestinianism, and Islamism. But I disagree that peace is delusional; were Israel and its allies tough enough, deterrence could work and the conflict would likely conclude. L'Informale: Of all countries in the world, Israel is the most vilified; just look at the UN resolutions against it from 1967 onwards compared to those against any other state. What are the main causes for this state of affairs? Daniel Pipes: I count four: Nazi influence; Soviet influence; antisemitism; and the large number of Arab and Muslim UN member states. L'Informale: With the ongoing civil war in Syria, Iran heading towards nuclear weapons, and Russia's growing power in the Middle East, America seems increasingly irrelevant to the region. What do you foresee? Daniel Pipes: Don't count the United States out. I foresee the region going through even worse crises and many parties turning to the United States to take on a larger role, as is already happening in East Asia.